You will Watch One Piece Episode 463 English Dubbed online for free episodes with HQ / high quality. Stream anime One Piece Season 14 Episode 5 An All-Consuming Inferno!! Admiral Akainu’s Power! Jozu manages to withstand Mihawk’s slash with his Devil Fruit power, which turns his body into diamond. Kizaru attempts to attack Whitebeard, but Marco blocks the attack by turning into a phoenix with his Devil Fruit power, and knocks Kizaru back. Jozu digs out a large chunk of the ice and tosses it toward the Marines, but Akainu melts it with his magma-based Devil Fruit power. Akainu counterattacks with his power, sinking one of Whitebeard’s ships, but Whitebeard effortlessly extinguishes the magma. 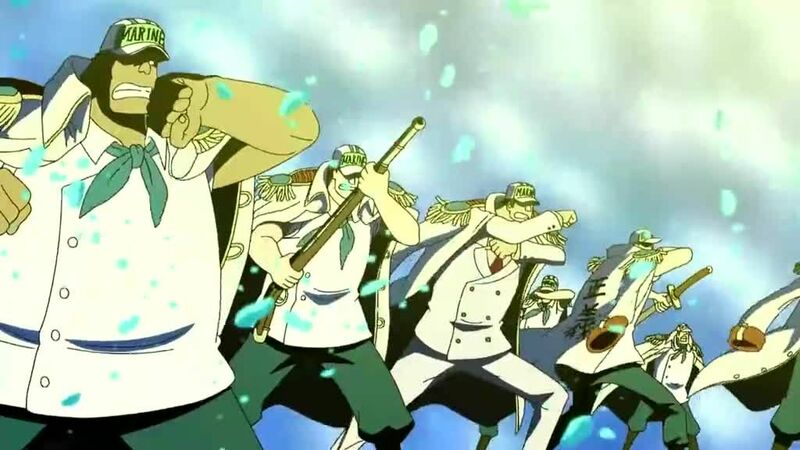 While the Marines and the Whitebeard pirates fight on the ice, Coby and Helmeppo start becoming scared, as many Marines more powerful than they are have been taken down easily. Little Oars Jr., a descendant of the original Oars steps forward to force his way through the Marine defenses and save Ace, whom he views as a close friend.